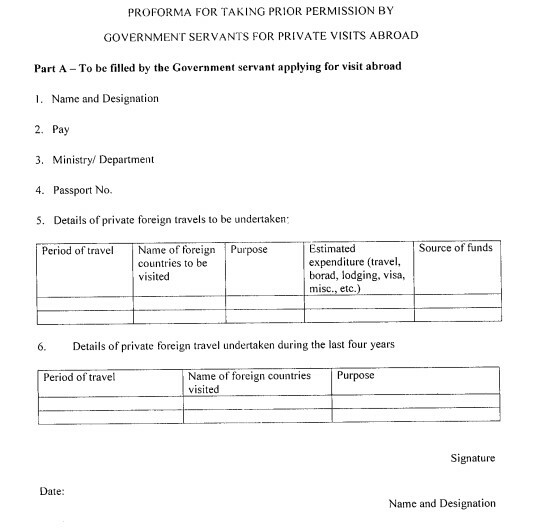 CENTRAL GOVERNMENT STAFF NEWS: FOR GOING ABROAD ON A PRIVATE VISIT, SEPARATE PRIOR PERMISSION IS REQUIRED. 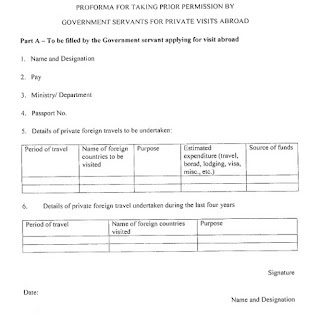 FOR GOING ABROAD ON A PRIVATE VISIT, SEPARATE PRIOR PERMISSION IS REQUIRED. Government of India, DOPT (Establishment Division) vide office memorandum F. No. 11013/8/2015-Estt.A-111 Dated July 27th, 2015 issued instructions regarding requirement of taking prior permission for leaving station/ headquarters for going abroad while on leave. This is in line with the existing instructions. 1. When a Government servant applies for leave for going abroad on a private visit, separately prior permission of the competent authority for such visit is also required. 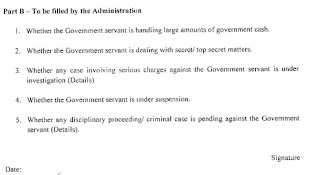 The requests of Government servants for such permission are to be dealt with expeditiously. 2. 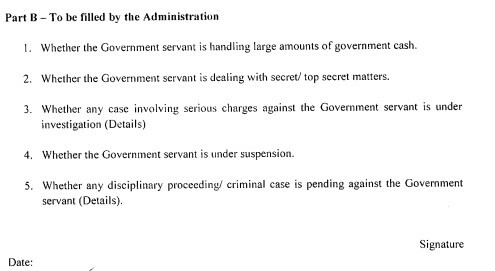 It has been decided that requests for permission for private visits abroad may be processed in the attached formats. In the event of failure on the part of the competent authority to communicate its decision to the Government employee concerned with 21 days of receipt of the application, the employee concerned shall be free to assume that permission has been granted to him.